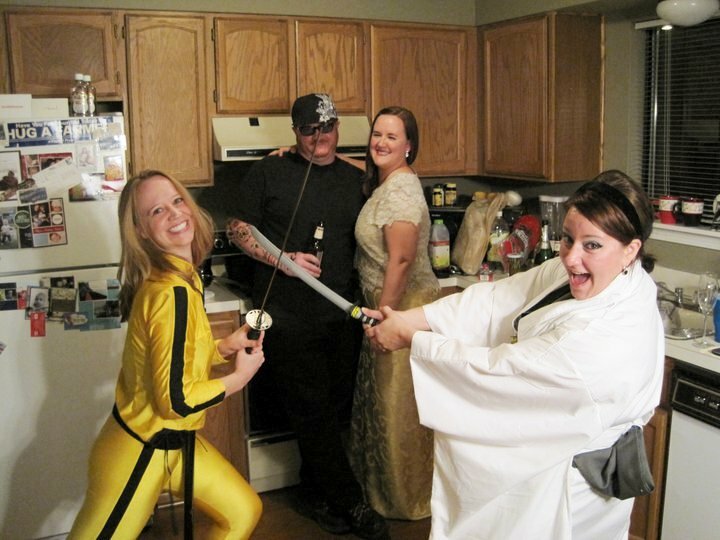 Idaho Chicken Ranch: Halloween Pre-party: Swords & Champagne! So over to the pre-party for final costume preparation (including wig!) 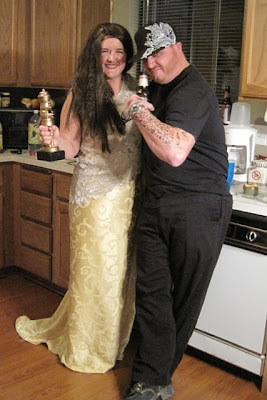 and for photo ops... With my ex-husband, Jesse James. The sword makes its first appearance. The blade on the right is an actual stainless steel blade. Sorry, we had to go black and white for this one, lest we lose our R rating. The next of the Kill Bill characters... AND tricks involving glass. EXCELLENT!! Dang-near ready to head to the party!